A five foot bull shark attacked a seven year-old boy in Lake Pontchartrain near New Orleans. The shark bit the boy so hard he had to kick to get it off. 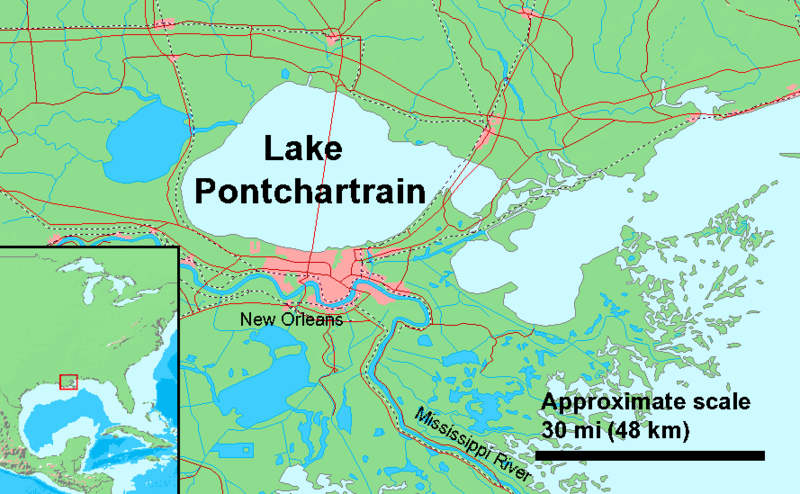 A screaming 7-year-old boy was pulled from Lake Pontchartrain in Louisiana on Friday afternoon, his left foot oozing blood. It wasn’t until he calmed down enough to stop screaming that he managed to explain that something had hit and then charged him in the water, biting so hard he had to kick to get it off. And while he was doubtful at first, a man who tags sharks for the National Oceanic and Atmospheric Administration says when he saw the kid’s foot he knew: “Without a doubt, it’s a bull shark — probably around 5 feet,” he told Nola.com. Bull sharks are known to attack humans from time to time. While many boaters, swimmers, and fishermen don’t realize there are sharks in Lake Pontchartrain, there are plenty. That’s because the 630-square-mile lake is misleadingly named; it’s not a true lake, but rather an estuary that feeds into the Gulf of Mexico, where salt and fresh waters mingle, according to SaveOurLake.org.